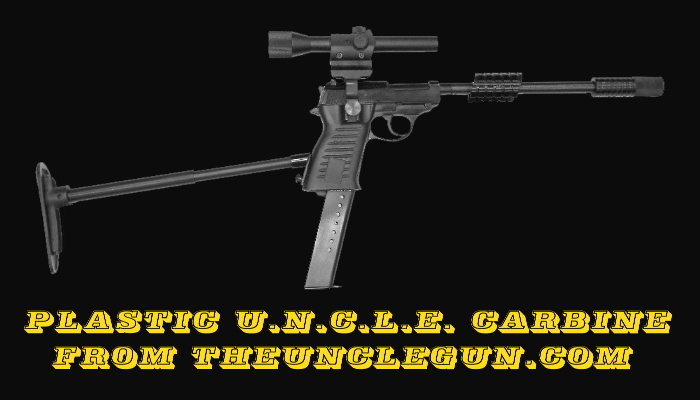 We make our airsoft U.N.C.L.E. 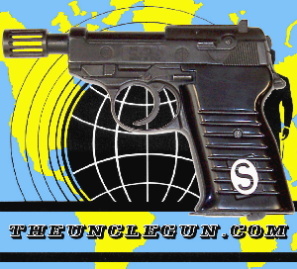 guns from Maruzen P-38 airsoft pistols and we have engineered them to be able to use our open end U.N.C.L.E. flash hider and still shoot airsoft bb’s. You can also attach the U.N.C.L.E. carbine parts. Shown with grip version B, our U.N.C.L.E. 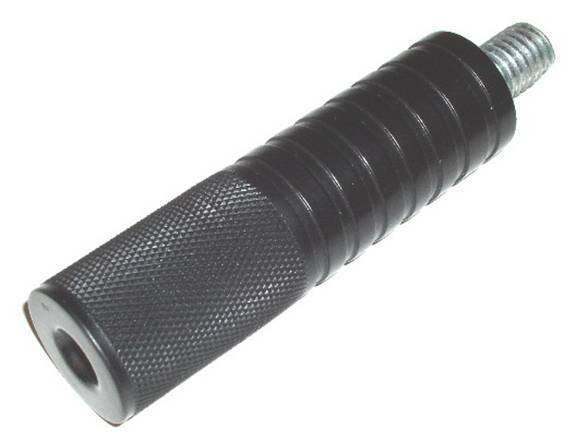 airsoft is also available with grip versions A and C.
end flash hider and plastic U.N.C.L.E. grip. It is capable of using the U.N.C.L.E. carbine parts we make. Not allowed to own a real gun? Try our plastic copy of one of the original P-38 U.N.C.L.E. Specials used on the Man From UNCLE TV show from the 1960's. It was copied from one that was molded off the original. This piece is an exact copy of the original. You can see the serial and model numbers, the proof marks, and the grip even has the dings that the original has. The original can be seen on the CIA's website. This copy has functioning scope mount slot, functioning stock slot, and solid threaded barrel (7/16 threading, just like the original). If you are going to use a scope mount on this gun we suggest that you use our plastic one to prevent breaking the scope mount slot. Flash Hider sold separately. * Please note free shipping applies to US orders only. International orders will have shipping calculated and added after the order is placed. This U.N.C.L.E. 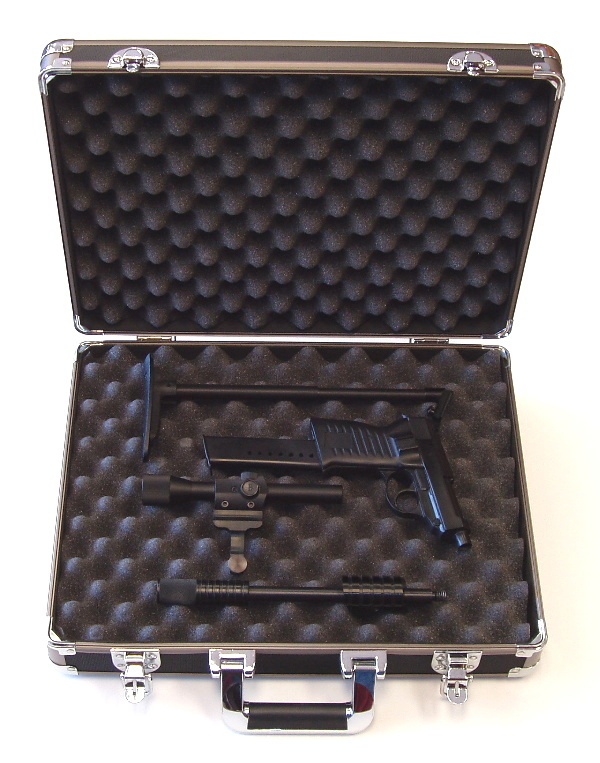 gun replica is made of a durable plastic cast resin, anodized aluminum tubing, and a few metal screws. 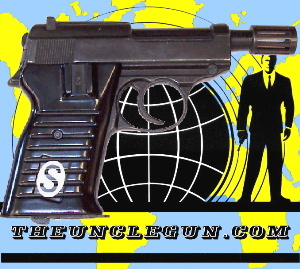 The pistol part is cast from one molded off one of the original guns used on The Man From U.N.C.L.E. TV series. In order to hold down manufacturing costs and increase the strength of various parts we have epoxied the parts into four groups, pictured below. You can screw the barrel group into the gun barrel, slide the scope and scope mount into the mounting slots on the grip and tighten it to hold, and slide the stock into the back of the grip. All other parts are epoxied together as shown in the picture below. Does not include case. Solid Plastic Cast Resin and Aluminum Copy of Original U.N.C.L.E. Carbine. This is an all metal semi-auto blank gun which fires 8mm blanks only and it cannot be made to fire real ammunition. It also comes with an orange plastic plug in the end of the barrel for safe identification as a non-gun. It also comes with your choice of 2 S initials or 2 K initials. These guns are not legal in Connecticut, Massachusetts, New York, Minnesota, Kansas, Wisconsin, Puerto Rico or Canada. We will not ship to addresses in those states. Steel replica U.N.C.L.E. 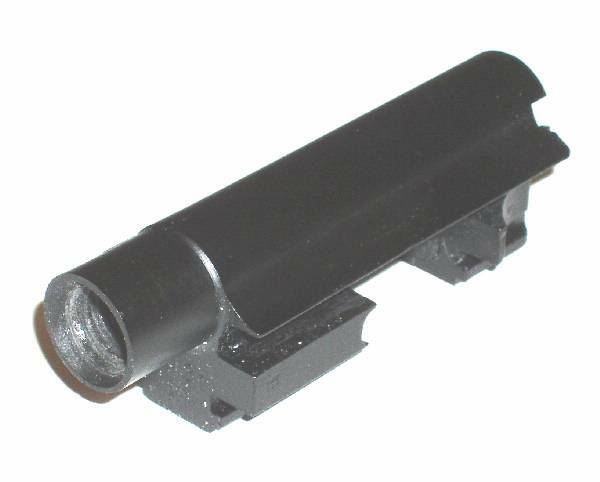 flash hiders as used on the TV series. 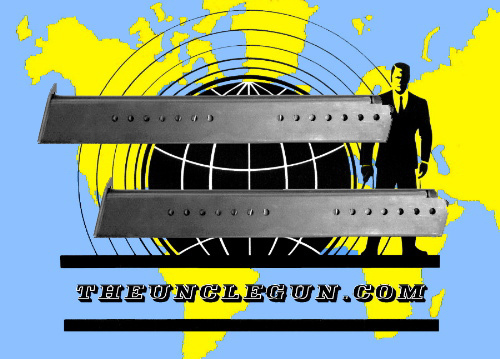 Functional Steel Replica U.N.C.L.E. Magazines. These were custom made for us by a major U.S. magazine manufacturer. They come in 15 round and 10 round versions, but both versions look exactly alike. Even though these are functional, testing them by cycling a gun’s slide by hand, we find that the 15 round version cycles most reliably when loaded only with 12 rounds. 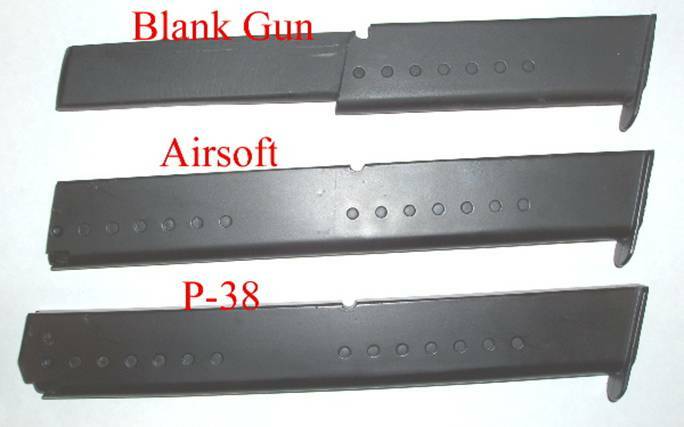 We also have these magazines in an airsoft version. The airsoft version is cosmetic only and will not hold compressed gas and they will not hold cartridges. They also have the tops partially ground down to fit the airsoft’s internals. When shipped to some states they will not have the spring intalled. We cannot ship these to Massachusetts or Washington, DC. We can ship only the 10 round magazines to California, Hawaii, Illinois, and New York. 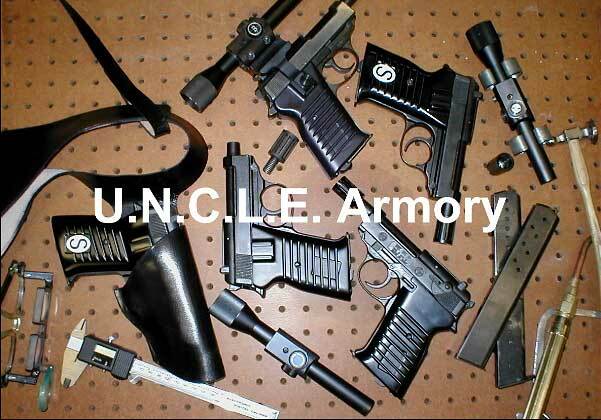 three of the original grips used on the Man From U.N.C.L.E. TV series. This non-functioning scope is molded off the exact type of Bushnell Phantom scope used on the original U.N.C.L.E. guns in the TV series. They and the accurate reproduction U.N.C.L.E. 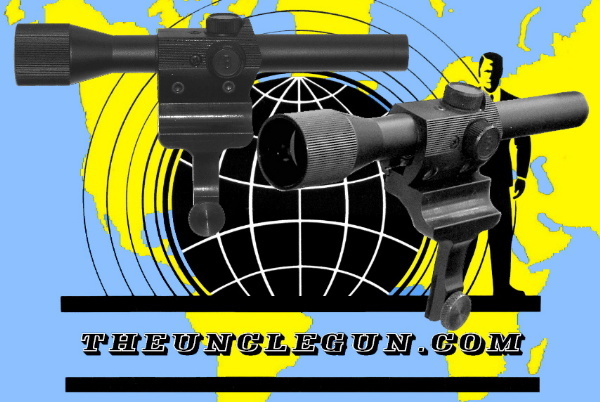 scope mount are made of the same tough black plastic resin as the grips above. Custom machined steel thumb screws for U.N.C.L.E. scope mount and stock. 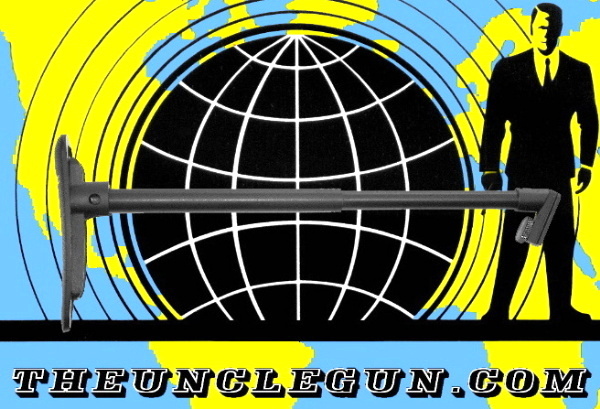 In order to make your own replica Man From U.N.C.L.E. gun you first need a properly shortened and threaded barrel to which you can add the barrel attachments. Until now the only way to get such a barrel was to destroy the usefulness of your original WWII P-38 barrel, or pay up to $200.00 for another one, assuming you could find one to buy, and pay a gunsmith up to another $200.00 to properly cut and thread your barrel. That is no longer necessary. 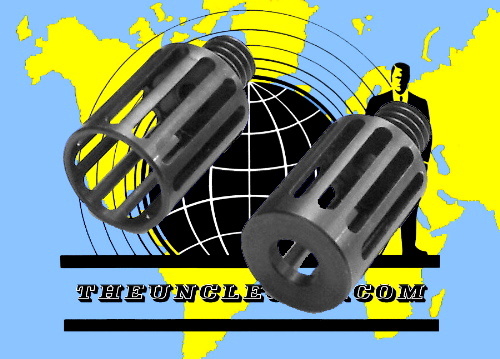 Our solid plastic barrel was molded from a real WWII P-38 barrel and then cut and threaded with the 7/16 threading of the original Man From U.N.C.L.E. guns. 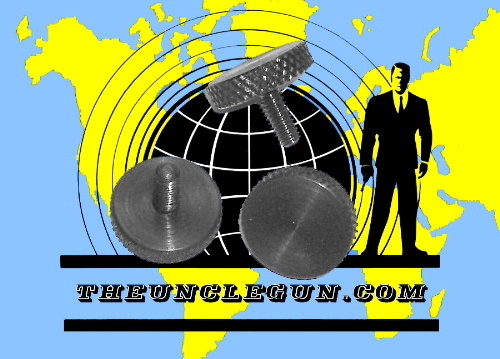 This is made of the same tough polyurethane resin we use in all our replica UNCLE gun parts. It takes exacting detail and is black all the way through, not a painted on black. 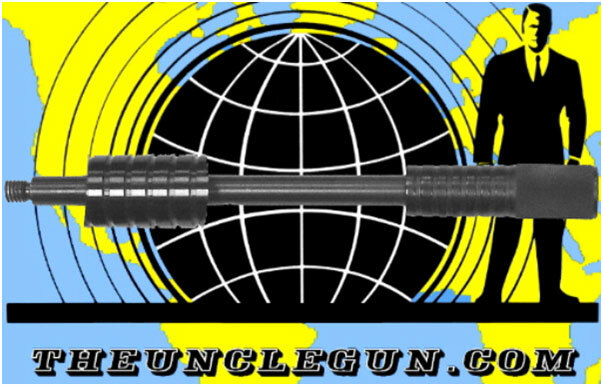 Cost- Your original barrel will cost much more to convert to an U.N.C.L.E. configuration than this barrel costs. And using this barrel you can leave your original barrel in it's original shooting condition. Versatility- Barrel changes are very quick and easy, and since this barrel will fit both your WWII P-38 and your Maruzen airsoft you can use this barrel in both guns and quickly change them back to original shooting condition. 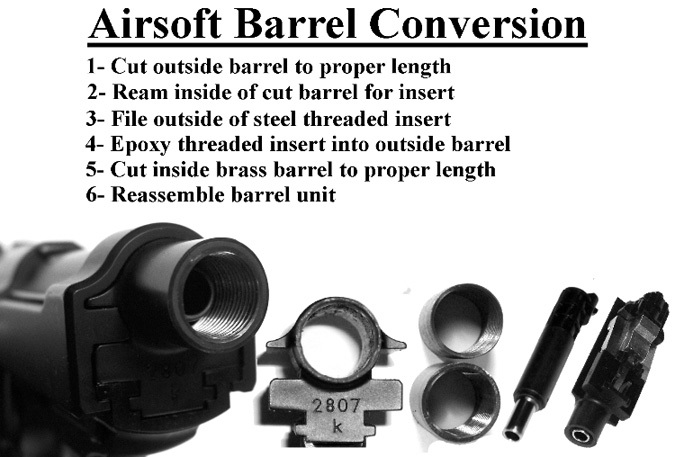 In addition, to convert your airsoft barrel requires you to permanently attach a flash hider to the barrel, which means you would not be able to fit it with other barrel attachments. This barrel gives you complete carbine capabilities. Realism- when using this barrel on your airsoft it will not shoot bb's. However, your gas magazine will still cycle the action, giving you recoil and the closest sound you can get to the original TV shooting sound effect. Safety- Most importantly, with this barrel in your WWII P-38 you will not be able to chamber a round.A real barrel that has been shortened and threaded the way the originals were is a very grave safety hazard. Since the flash hider blocks the bullet's path, if you were to accidentally chamber a round and pull the trigger, the gun could explode causing possible serious injury or even death. This cannot happen with our barrel because it is solid and will not accept a round. Short Threaded P-38 and Airsoft Barrel and Plastic Extended Magazine. These magazines are solid polyurethane resin and are black all the way through, not a painted on black finish. 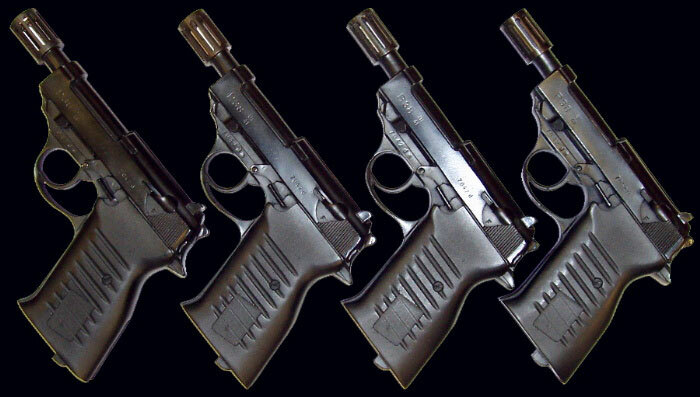 We make them to fit our blank gun, the Maruzen p-38 airsoft, and real P-38s. Great for those who cannot find real extended magazines the proper size and look, or for those who live in states that do not allow real high capacity magazines.